The stainless steel scrap prices by Italian scrap producers have dropped sharply during the month of July this year. The sharp fall in scrap prices is mainly attributed to the plunging nickel prices. The significant drop in demand for finished stainless steel products is also cited as another reason for scrap price decline. Scrap prices remained subdued throughout July, with some pick up witnessed towards the month end, said scrap merchants. 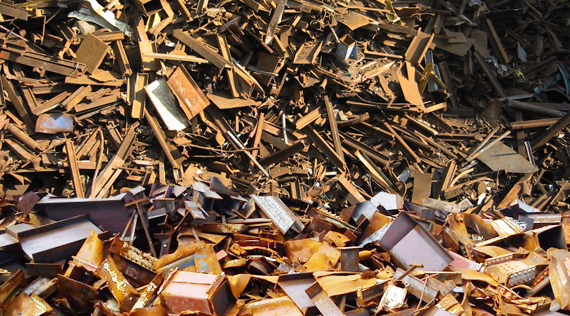 The stainless steel scrap quotations have declined by nearly �100 per tonne during the first week of August, in comparison with those during the initial week of July this year. The stainless steel scrap market remained extremely quiet during July. The activity is likely to drop further as several European mills will remain closed down for summer holidays. Incidentally, EU-28 crude stainless steel production has dropped by 6.1% year-on-year to 3.21 million tonnes during January to May this year. The selling price of grade 304 scrap by merchants in Italy and France during early August were at �1,100 per tonne delivered, while those of grade 316 scrap declined to �1,500 per tonne delivered. Meantime, quotations from Italian scrap producers for grade 304 scrap stood at �1,260 per tonne delivered, in line with the quotations that existed during July. The quotation for grade 316 scrap ranged between �1,580 per tonne and �1,590 per tonne delivered, sources indicate. Also, Italian scrap prices continued to trend lower during last week of July. The domestic prices of new arisings (grade E8) in Italy held in the range �230-235/t ($254-260/t) delivered. Shredded scrap (E40) prices averaged between �230/t and �240/t. Demolition scrap (E3) prices were in the range from �210/t to 225/t. Also, Heavy Demolition scrap (E1) prices ranged between �215/t and �225/t.